Knysna English School (KES) is a boutique English language school offering world-class English tuition in small, intimate classes. We pride ourselves on the quality of English we offer and ensure our high standards are maintained by only employing experienced and highly qualified English teachers. In addition teachers receive constant training to keep up to date with the latest methodologies. The latest course books are used in class in combination with topical and current resources to keep students engaged and interested. Accommodation is one of the most important aspects of an English learning experience. We recommend that students stay with one of our carefully selected host families where they can have a ‘home away from home’ and also have the opportunity to practice English outside of the classroom. We also offer other types of accommodation in the many B&Bs, guesthouses, backpackers and hotels in town. 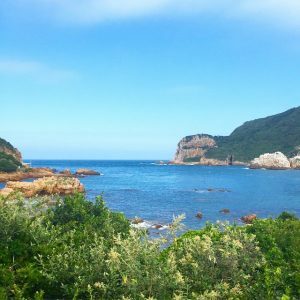 Knysna and the Garden Route have many exciting tourist experiences to offer English students and there is something for every preference and budget. Activities include getting up and close with elephants, monkeys, exotic birds and whales. For those who enjoy sports the Garden Route is perfect. Marathons, ocean swimming races and mountain bike races are regularly held in an around Knysna. Foodies are also well looked after as Knysna has over 100 restaurants for them to choose from. Knysna English School specialises in group packages which combine all of the above into one exciting English-learning experience. Packages are tailor-made to suit every size, budget and preference of activity. Organizers can choose the length of the booking, what type of accommodation students will stay in, how many hours of English tuition students will have and what kind of activities they will enjoy. Courses are charged at nett price and include all costs. This entry was posted in Knysna English School and tagged Knysna, Knysna English School, learn English. Bookmark the permalink.